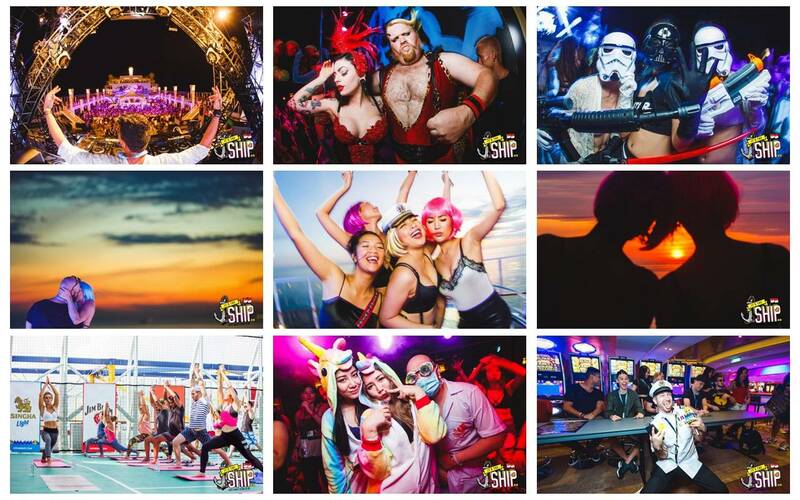 IT'S THE SHIP 2018 - Asia’s Largest Festival at Sea! **A confirmation email will be issued upon cabin booking and successful payment. Actual IT'S THE SHIP 2018 eTicket will be ONLY sent after the full payment is made. 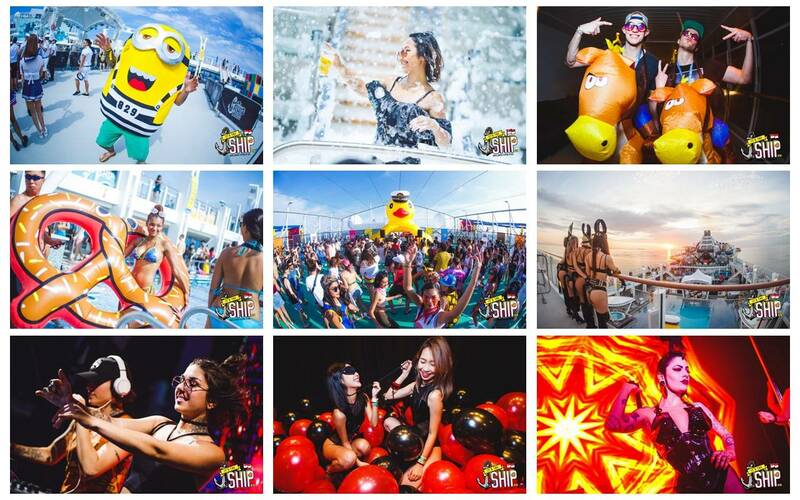 IT’S THE SHIP is Asia’s largest festival at sea! 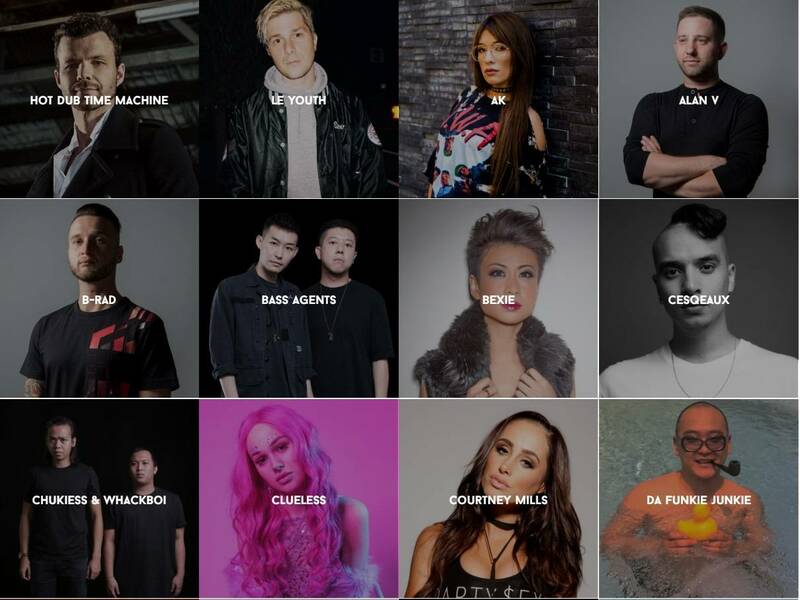 This four-day, three-night cruise music festival is set to depart from Marina Bay Cruise Centre, Singapore this November 4, 2018, crossing international waters to the magical island of Phuket, before returning to Singapore on November 7, 2018. So lock in those dates! 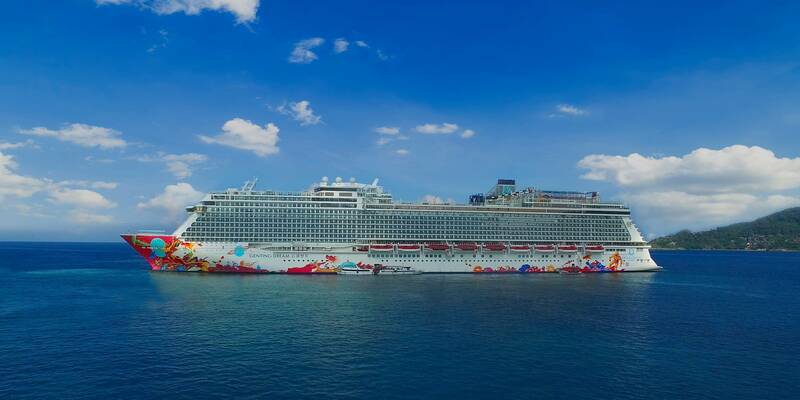 IT’S THE SHIP 2018 will take place onboard the prestigious floating resort at sea – Genting Dream. Shipmates will delight in a new “integrated resort” experience at sea with luxurious comforts (trust, this is some A class fancy pants stuff), thrilling shows, and numerous dining options. This monster of a cruise line is one of the world’s largest, imagine 18 whole decks filled with swimming pools for days, a waterslide park and zip line that overlook the sea, a bowling alley, 3D movie theatre, a mini-golf course, as well as over 35 restaurant and bar concepts. 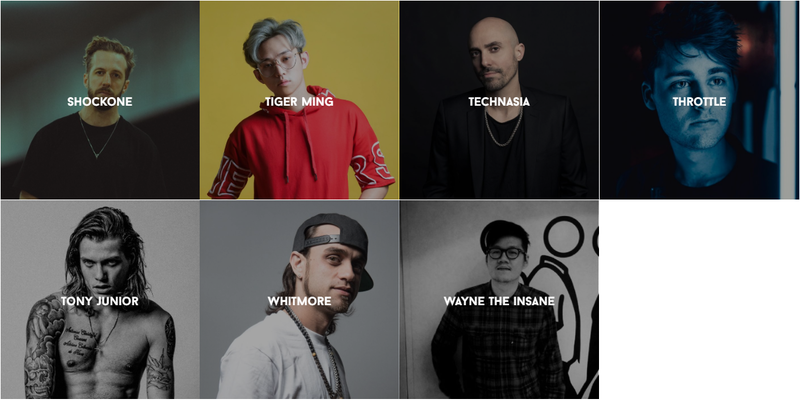 IT’S THE SHIP is organised by one of Southeast Asia’s largest and most innovative live event companies, THE LIVESCAPE GROUP. 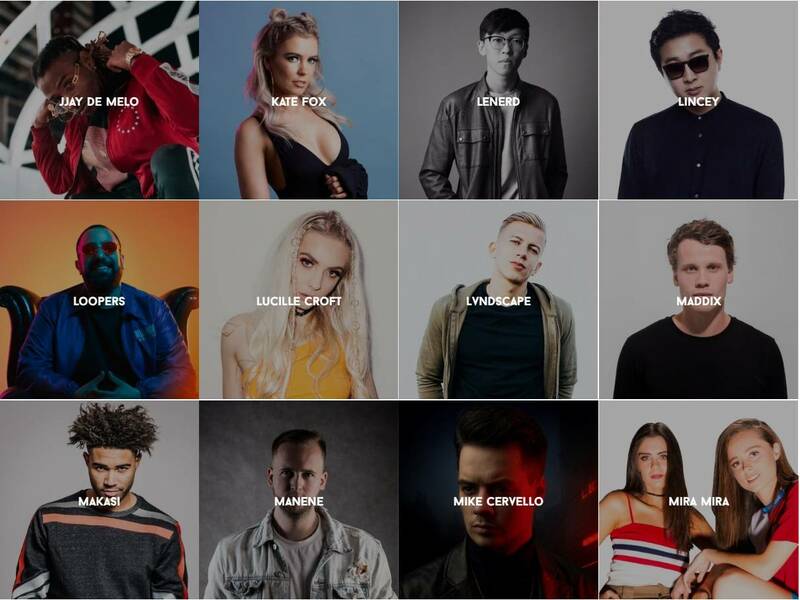 The Livescape Group is a youth-centric music and creative events group of companies, specialising in conceptualising and executing formidable creative and activation platforms for some of the best-known brands on the planet. We don’t do the ordinary and dare to try new ideas. This belief has driven us to be one of the key players in the Malaysian and Southeast Asian live events market. 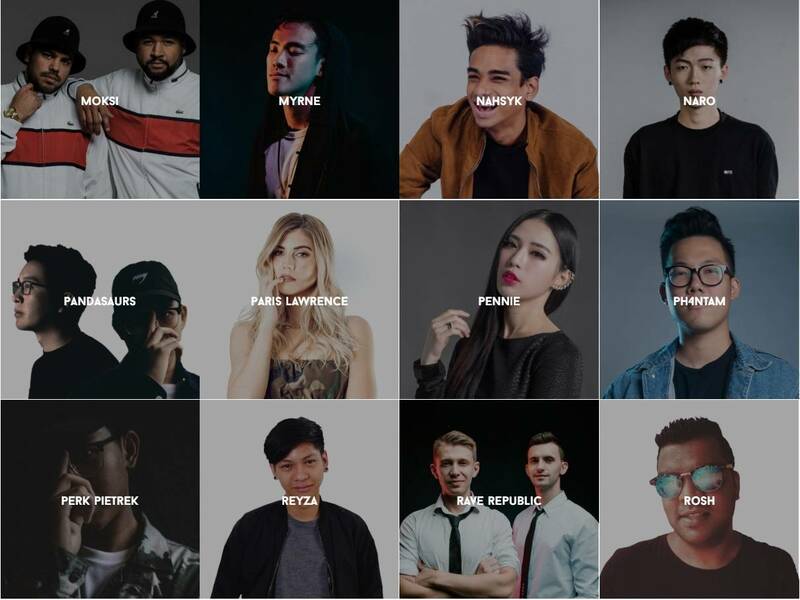 Entry to it’s the ship Singapore 2018 events! If you’re at least the legal age of eighteen (18) years old as of the date of sailing, you are definitely able to party with us on IT’S THE SHIP. BOOK NOW!! Don’t wait for the last day. Cabin sales for IT’S THE SHIP 2018 are on a first come first serve basis. WHAT TRAVEL DOCUMENTS DO I NEED TO PREPARE? All shipmates must also present any relevant documentation/ VISA on embarkation for Singapore and Thailand (even if you do not plan to disembark the ship in Phuket). Kindly check with your local authorities on any travel documents/ VISA required. All travel documents/ VISA must match your name on the cruise documents. Please do make sure this is done, our hearts would break if we had to leave you behind. Kiosk check-in at Marina Bay Cruise Centre Singapore commences from 11:00 hrs to 15:30 hrs (SST) on November 4, 2018. Boarding starts from 13:00 hrs to 15:30 hrs (SST). You must be on the ship NO later than 15:30 hrs or you risk missing the party! SO, BE ON TIME. Address for Marina Bay Cruise Centre Singapore: 61 Marina Coastal Drive Singapore 018947. WHAT SHOULD I NOT PACK OR LEAVE BEHIND? No. Water is available on IT’S THE SHIP, and mineral water can be purchased onboard. No. All alcoholic drinks will be confiscated by security at Singapore and Phuket entry gateway during security clearance at embarkation. Alcoholic beverages can be purchased onboard IT’S THE SHIP for onboard consumption only. Duty free alcoholic beverages purchased onboard will be retained on IT’S THE SHIP till the end of the cruise. CAN I REQUEST IT'S THE SHIP TO ARRANGE TRANSFERS TO THE PORT/AIRPORT? I'M COMING TO SINGAPORE JUST FOR IT’S THE SHIP, SO WHERE SHOULD I STAY BEFORE AND AFTER THE CRUISE? Singapore is a small and vibrant city. The cruise centre is approximately 30 mins away from the city centre depending on traffic. Lots of accommodation options are available. You can choose to stay anywhere in Singapore you like! But, remember you need to be on time to check-in or risk missing the ship. You must check-in at Marina Bay Cruise Centre promptly BEFORE November 4, 2018, 15:30 hrs (SST). IT’S THE SHIP is scheduled to set sail at 17:00 hrs (SST). You must check-in promptly BEFORE November 4, 2018, 15:30 hrs (SST) to avoid missing IT’S THE SHIP. It is recommended to come early. We arrive Singapore on November 7, 2018, 14:00 hrs (SST). Disembarkation will only commence right after ship clearance is obtained from the local Authorities. c) Entry to all IT’S THE SHIP events on and off the ship except for event that required specific entry requirements. f) And other general and complementary facilities such as the Waterslide Park, Ropes Course, Rock Climbing, Mini Golf and Sportsplex. CAN I SIGN UP FOR THE SIDE ACTIVITIES ON BOARD? We have numerous fun side activities happening on board IT’S THE SHIP. The list of activities will be announced closer to sailing and you can choose to sign-up onboard at the hospitality counter on Deck 6. Sign-up are on a first come first serve basis only. So be sure to do so as soon as you get onboard so that you don’t miss out. Shipmates are highly encouraged to link your credit card to your seapass card to avoid queues for bill settlements, travel document collection and disruptions to your spending on board. If you do not wish to link your credit card, a maximum capped spending of SGD1,000 will be placed on the seapass card. That means when spending has exceeded SGD1,000, the card will be blocked until your bill is settled. For the Insta-savvy ones, and those who can’t leave the "world"’, not to worry! WIFI is available onboard and is subject to the following charges. From past experiences, we believe the best thing to do is get off the grid, you won’t know how liberating that is until you experience it. Smoking is strictly not allowed in the cabins, even at the Balcony. There are designated smoking areas provided onboard IT’S THE SHIP. There will be a penalty if the smoking policy is not observed. So, look out for the signages. Why do you need to use your phone anyway? You should enjoy the ongoing party on IT’S THE SHIP! Trust us when we say this! Try one day and you’ll know what we’re talking about – then you’re going to want to go mobile free the whole trip! The music schedule will be posted before we sail. It will also be made available in the ITS 2018 Guide which will be sent via eDM closer to the travel date. Yes! Most of our DJs spend the entire 4-days with us. However, sometimes a DJ may only be available for part of the cruise, or may have to depart early due to other commitments.